Toni Ptacek is a senior at Creighton University who originates from Omaha, Nebraska. She is working toward a B.A. majoring in Political Science and Public Policy and minoring in Sustainability and Studio Art. Toni is currently researching the polarization of environmental politics, and assisting the Nebraska Sandhills Team by collecting relevant literature to further the depth of the current research. She is ultimately pursuing a career in Environmental Policy Analysis and Conservation in hopes to continue the foundation and utilization of sustainable practices here in Nebraska and throughout the country. Alexander Larsen is a sophomore in the Creighton Honors Program, who is originally from Rochester, Minnesota. He is working towards a B.S. with majors in Biology and Environmental Science as well as a minor in Sustainable Energy. Alexander is currently doing research involving remote sensing of the Nebraska Sandhills. He is pursuing a career utilizing biological mechanisms to help build a clean and sustainable future. Michael Kokotajlo was born and raised in San Antonio, Texas. 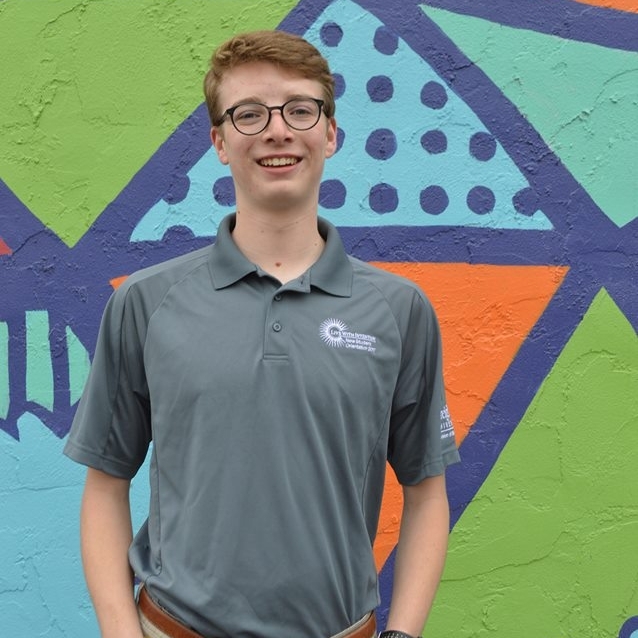 He is currently a senior at Creighton University pursing a Bachelors of the Arts degree with a major in Sustainability as well as a minor in Environmental Science. He is studying the discourse of new ranchers to try to understand socialization into ranching culture. Colin McGrew comes from Frisco, Colorado and he is a Senior at Creighton University pursuing a major in Biology and a minor in sustainability. He is interested in the complex systems that form between human society and the natural environment. This research of the Nebraska Sandhills provides a landscape to explore the cultural and physical relationships between humans and nature. Colin says that research of this region has not only furthered his knowledge of these relationships, but has increased his drive to explore these ideas of sustainability to a higher degree. Michael Galeski is from Omaha, Nebraska and a sophomore at Creighton majoring in Sustainability and minoring in Business and African Studies. This past year he studied in Cape Town, South Africa and observed how culture and climate change affected the water crisis. This experience sparked his interest in doing research on this completely different, but equally vulnerable landscape much closer to home. I joined the Sandhills research team in January 2018 and look forward to furthering my knowledge of this area as the semester goes along. A.J. is a senior at Creighton University majoring in advertising and public relations. Photography and videography are his passions. He has served as an official photographer at many events in Omaha such as the LONGINES FEI World Cup™ Jumping & FEI World Cup™ Dressage Finals and the NCAA Men’s College World Series. A.J. also served as an official photographer for the Creighton University Athletic Department. He participated in Backpack Journalism in 2016, and worked on the Sandhills project during the summer of 2017. A.J. is planning on entering the field of public relations and social media after he graduates. Kaity Szymborski is from from Carol Stream, Illinois. She is currently a sophomore at Creighton University pursuing majors in Environmental Science and Math. She joined the Sandhills project in January of 2018 to research the area from an ecologically sustainable perspective. Her goal is to gain a broader understanding of the biological and sociological aspects of enforcing environmental sustainability.